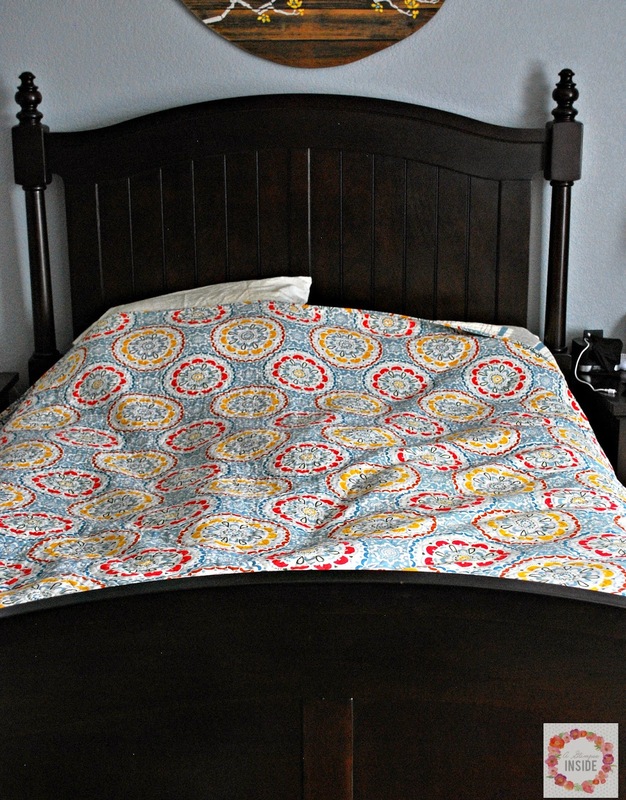 I was so excited that I was able to pick some new bedding from BeddingStyle.com so after browsing the selections, I decided to go with this Milan Bedding by City Scene duvet cover to review. I was a little excited to get it on the bed as soon as it came, notice the lines from it being folded...oops, that I went on upstairs and got it on my bed. It is gray, blue, with bright yellow accents and I am amazed how the gray and blue just so happen to match our wall color and curtains exactly!!! PERFECT! I love the main pattern on top and then the change of pattern and color on the back for a little pop! The fabric is soft which is obviously a good thing since you'll be cuddled underneath it. 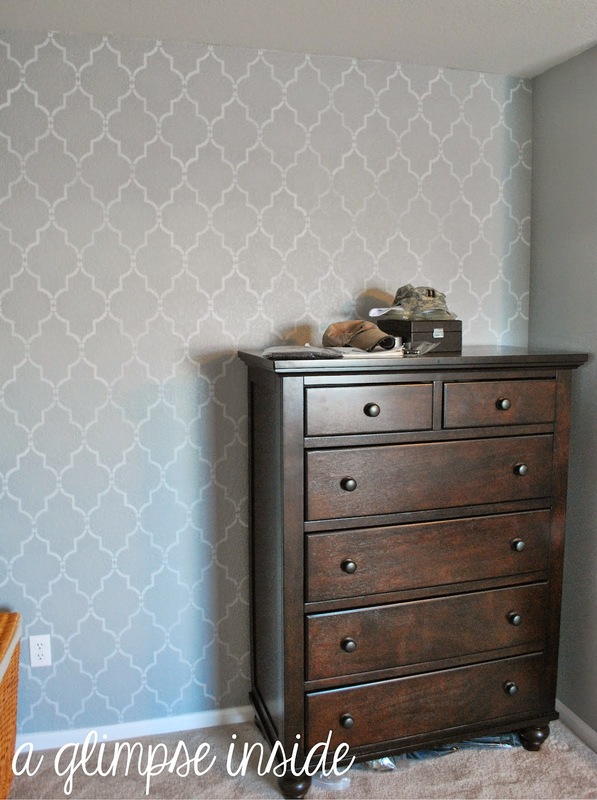 And I also love that the pattern on the front of the duvet, also goes with our stenciled wall across the room. It's like I planned it! And I just wanted to give you a up close shot of the fabrics because, why not?! Also, I forgot to take a picture of it but the closure for the duvet cover is so nice too. I had one in the past that was just at one end of the cover so you could see the buttons and the insert. This one folds over a little then has the buttons which are hidden so you have no idea what is inside. Ok so... who can use or wants some new bedding?! Raise your hand and say "I!" All you have to do is enter in the rafflecopter widget below and you can be picking out your new bedding next week! 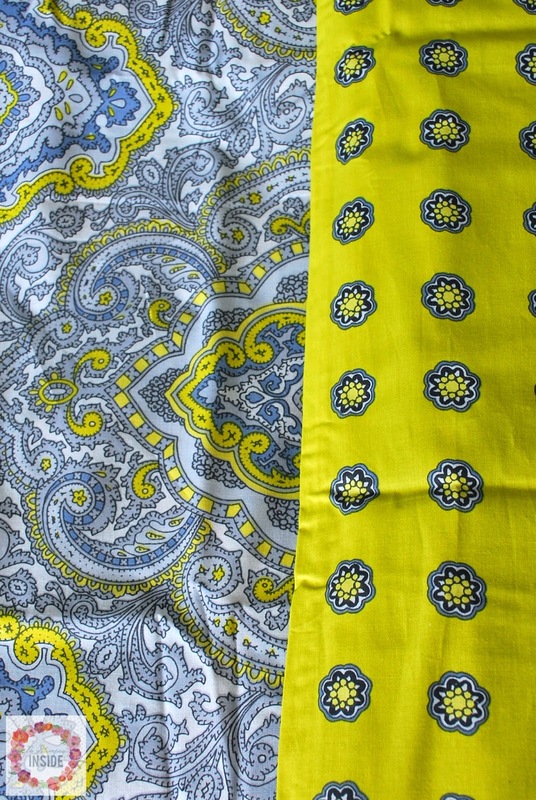 PLEASE NOTE: by entering this giveaway, you are giving BeddingStyle.com permission to contact you through email. Good?! Good!! Winner will be announced Wednesday, October 1st. Favorite thing about fall..the crispness in the air today! 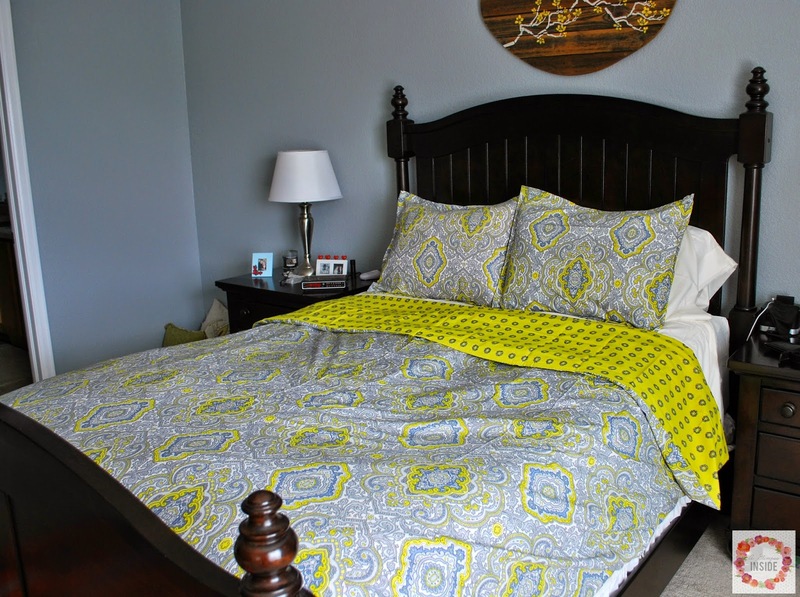 I love the Candice Olson Rise and Shine Comforter Set! The ombre is kinda awesome! I love their city scene set and I could really use some new decor in my bedroom! I really like the Marimekko Muru sheet set. Crisp Fall evenings on the screened porch with a fire roaring in the fireplace. I would buy the Laura Ashley Barrington Quilt. It's gorgeous! I love the cooler weather and all things pumpkin! I would choose the Premium Fleece Khaki Comforter Set. I like the cooler weather of Fall so I can go on more nature walks. Laura Ashley Sophia Comforter.....but, they are all beautiful. Thanks! My favorite thing about fall is the changing color of the leaves! All.Things.Pumpkin. I cannot even begin to try to pick a favorite thing beyond that!! 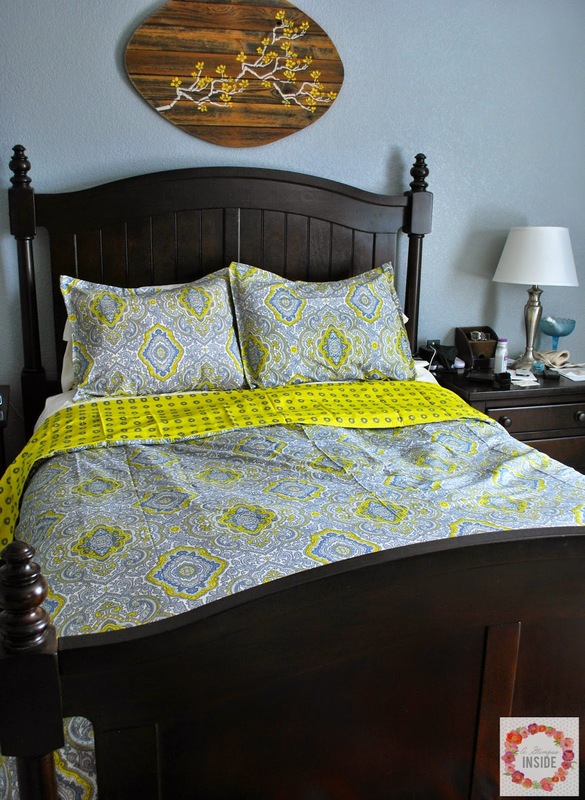 I love the Adrienne Vittadini Sylvie Quilt Set! Favorite thing about fall is Apple Picking and the leaves changing! I really like the Mirador bed in a bag. It's so classy and would look great in our bedroom. I love the different colors of the leaves. It's so beautiful to look at. 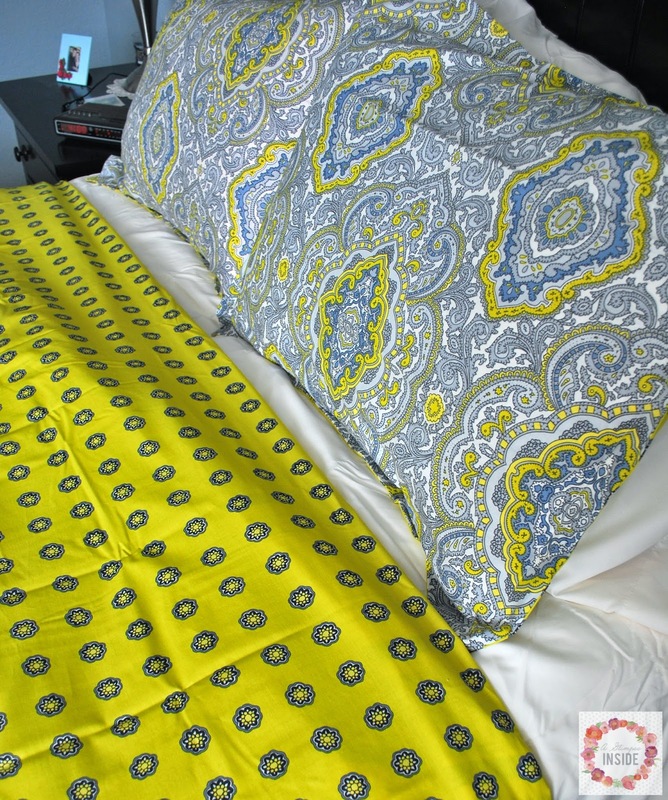 I love the Manor Hill Pebbles Comforter Set! My favorite thing about fall is the seasonal pumpkin flavored products and the scenery of course! I'm redoing my guest bedroom. I am so drawn to the Laura Ashley comforter sets. I just can't decide which I'll choose! Fall favorites: apple picking, apple pie, beautiful fall colors, Friday night football on crisp evenings under the lights. Teen Vogue Sketched Roses Comforter Set is my favorite. 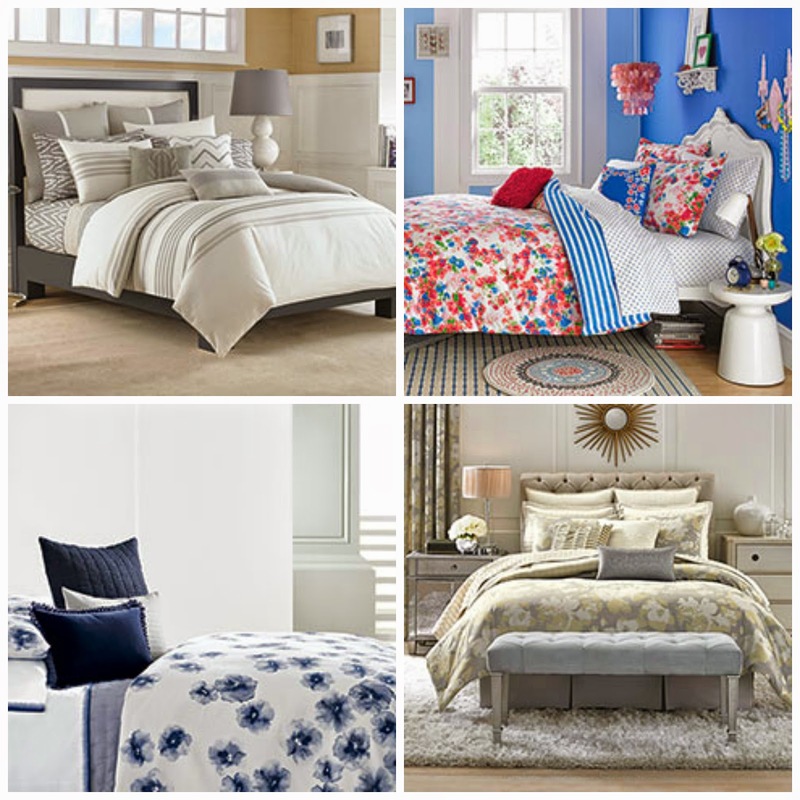 I like the Nautica Mainsail Red Comforter set (or the navy one)! My favorite thing about fall is pumpkin recipes! I like the Betsey Johnson collection. I might buy that if I won. My favorite thing about fall is drinking hot drinks again and all the apple recipes. I love pumpkin carving and trick or treating in the fall. I would get some of the lovely Vera Wang bedding. I think I'd start with the Violet Duvet Cover. I would love to buy the Candice Olson Rise and Shine Comforter Set. Very pretty set!!! What I love most about fall is the fall activities with the kids, leaf piles, the apple orchards, hay rides, and the fall crafts. I Would Buy The Teen Vogue Sketched Roses Comforter Set! What I Love About Fall And My Favorite Thing Is All The Colors And Flavors Of Fall! I'd love the Perry Ellis Asian Lilly set......so pretty! My favorite thing about fall is seeing the leaves change colors and all the pumpkins. I would purchase the Bedford mocha quilt ; however, they had several others that I would be grateful to have. Thank you. I would buy the Laura Ashley Sophia Comforter Set...I love it! Thank u! Paula C.
My favorite thing about fall is the leaves falling. my favorite thing about fall is halloween! I love it! I love the foliage and food! I would possibly choose the Manor Hill Aston Complete Bedding Set. Loving the Nautica Lawndale set in navy! And my husband would approve too! My favorite thing about fall are the scents of the fallen leaves, pumpkin and cinnamon. Oh I really love the LAURA ASHLEY Caroline Comforter Set! Beautiful colors! My favorite thing about fall...is the leaves changing colors! So pretty! I love to take drives and just look at all the trees! I would get the 'Skating Penguins Flannel Sheet Set' and the ' Nicole Miller Floral Comforter Set' for a Queen sized bed. I love so much about fall. I love that I can get my flannel sheets out. That I can wear my nice sweaters. The pretty leaves. Soup season etc. I might like to get the Eddie Bauer Chelan Quilt Set. My favorite thing about fall is watching football and roasting butternut squash. I would buy Vera Wang Sculpted Floral Sheets King. I really need some and love these! I love all the Fall smells. So comforting and peaceful. I love the cool fall weather.